If you are one of those people who has less than perfect vision, you might sometimes dream of waking up in the morning and just being able to see, rather than fumbling for glasses or contacts. You may want to make this dream a reality by undergoing LASIK Surgery. However, deciding to have surgery on your eyes is a serious decision, and finding the right Kansas City LASIK surgeon is an important part of the process. Fortunately, at Trusted LASIK Surgeons™, we maintain a resource that allows you to find a quality LASIK surgeon that can help you fully understand the procedure, and whether or not it is the best choice for you. LASIK is an abbreviation for Laser-in-Situ-Keratomileusis and is the most common type of refractive eye surgery in the world. In the U.S. alone nearly one million people choose to have the procedure done each year. It involves using a laser to reshape the cornea to correct refractive errors, including nearsightedness (myopia), farsightedness (hyperopia), astigmatism, and presbyopia. Not everyone is a good candidate for the surgery, and although your optometrist can't perform the surgery, they can usually give you a good idea whether LASIK surgery may be an option for you. Because LASIK is so popular, there are many ophthalmologists that perform the procedure, and some of these may have a connection with your regular optometrist. At Trusted LASIK Surgeons, we go beyond getting a good word from the regular eye doctor and qualify the surgeons in our directory through an extensive screening provides that evaluates qualification, experience and professional contributions to the field of LASIK. Extensive experience of over one thousand refractive surgery procedures and/or 10 years experience performing refractive or cataract surgery. Experience Managing LASIK complications of LASIK - Although LASIK has become standard, complications have occurred, and our surgeons have a proven record of successfully handling these complications, even those that originated with another surgeon. At Trusted LASIK Surgeons™, we maintain a LASIK Surgeons Directory and a Cataract Surgeons Directory of top-notch LASIK and Cataract surgery providers across the country. We include two St. Louis based expert LASIK surgeons, Dr. Daniel Durrie, M.D. and Dr. Jason Stahl, M.D. and we feature other highly qualified LASIK Surgeons—Dr. Jason Brinton and Dr. Shachar Tauber who serve patients throughout Missouri, including St. Louis and surrounding areas. If you have been considering LASIK eye surgery to correct your vision problems, Trusted LASIK Surgeons can help you choose an expert LASIK in Kansas City to get you on track to seeing your best. If you live outside of St. Louis or the Independence metros in Missouri and are interested in LASIK or another vision correction surgery procedure, please visit our Find a LASIK Surgeon Directory or our Find a Cataract Surgeon Directory to find an expert LASIK or cataract surgeon near you. The Trusted LASIK Surgeons directory only lists surgeons who have extensive qualifications and experience. We estimate these Kansas City based LASIK laser eye surgery, refractive eye surgery, cataract surgery, eye doctors are among the top 1% performing vision correction in the United States. These Kansas City eye surgeons also serve international patients. Click the links below to view these surgeons' extensive qualifications. 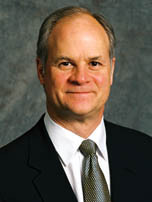 Kansas City LASIK Eye Surgeon Dr. Daniel Durrie, M.D. Dr. Daniel Durrie has extensive qualifications that we estimate put him among the top 1% of LASIK and refractive surgeons in the United States. Kansas City LASIK Eye Surgeon Dr. Jason Stahl, M.D. Dr. Jason Stahl has extensive qualifications that we estimate put him among the top 1% of LASIK and refractive surgeons in the United States. Thank you for visiting us at Trusted LASIK Surgeons™. How Are Lasik Eye Surgeons Qualified at Trusted Lasik Surgeons™?